Chinese officials have defended plans to build a theme park outside Lhasa, stating that the park will bring growth to the area. However Tibetan activists have criticised the proposal on the grounds that it will destroy Tibetan culture further and bring few economic benefits to the Tibetan people. Plans to build the theme park on the outskirts of Lhasa, the capital of the Tibetan Autonomous Region, were unveiled last week and are part of a government drive to attract 15 million tourists to the region by 2015. Campaigners warn that promotion of mass-tourism could prove ruinous for Tibet's environment and culture and brings few economic benefits for the Tibetans themselves. But Monday's [16 July 2012] edition of the Global Times, widely seen as a mouthpiece for the views of China's Communist Party, delivered a strongly worded rebuke to critics. "Ordinary Tibetans do not want to live in a backwater museum to be exhibited to foreign visitors who can appraise how well their culture is 'preserved'," argued the article, written by commentator Chen Chenchen. "The latest grand tourist project will further fuel the local economy and provide more opportunities for direct interaction between locals and visitors Economic growth and cultural prosperity are not in opposition." Mr Chen rejected claims that developing China's western region posed a threat to traditional Tibetan culture. "If Han [Chinese] culture is a form of invasion what about the intrusion of US culture in China, from Disney to hamburgers? Is this also a form of cultural genocide?" The announcement of plans for the theme park comes at a time of increasing instability in Tibetan areas of west China, where campaigners say more than 40 Tibetans have self-immolated over the last 18 months. Last week London-based campaigning group Free Tibet claimed there had been a "heavy security crackdown" in Damshung county, near Lhasa, after a 22-year-old Tibetan man set himself on fire in protest against the Chinese government. Stephanie Brigden, Free Tibet's director, said the "Disneyfication of Tibet" through mass tourism projects would do little to improve the situation. "We are not opposed to development per se but this type of [large-scale] tourism will not benefit Tibetans and will actually further marginalise [them]. 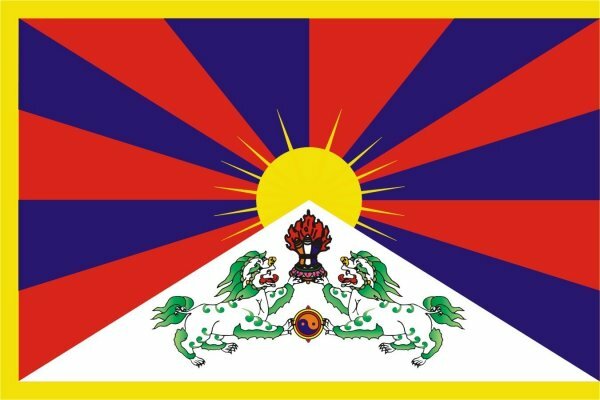 Any kind of development within Tibet has to be inclusive of an informed by the opinions of Tibetans." "[The government] believes that economic growth is the way to secure harmony [but] economic growth in itself does not bring harmony," she added. Mr Chen said it was "increasingly impossible that a bulwark can be erected to "protect" the Tibetan culture from external impact." "[Whether] Western observers like it or not, the younger generations in Tibet are already making changes to their traditions. They speak Tibetan, and they also browse web pages in Chinese and English. They join in family religious ceremonies, and they also visit nightclubs.